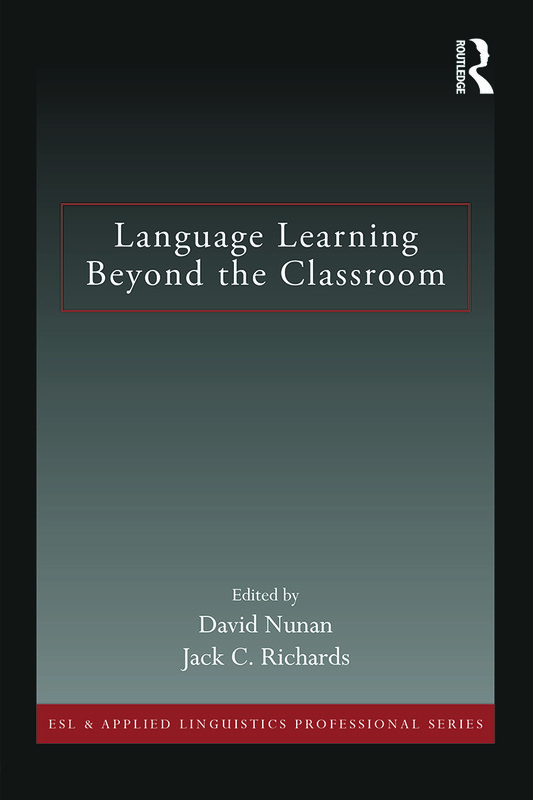 This volume presents case studies of language learning beyond the classroom. The studies draw on a wide range of contexts, from North and South America to Europe and the Asia-Pacific region. Each provides principled links between theory, research and practice. While out-of-class learning will not replace the classroom, ultimately all successful learners take control of their own learning. This book shows how teachers can help learners bridge the gap between formal instruction and autonomous language learning. Although English is the primary focus of most chapters, there are studies on a range of other languages including Spanish and Japanese. "I am happy to see this innovative collection…. I do not know of another volume with this focus. So, this is a very exciting venture, and I am very pleased to see it." "This is a very original idea and an innovative publication, certainly in keeping with the times with its attention to autonomy, digital learning, and language learner strategies." "Language Learning Beyond the Classroom offers a new perspective on autonomouslearning by showing how out-of-class learning can complement classroom-based learning. This shift of perspective is especially timely in an era in which rapidly developing internet-based technologies and opportunities for travel have dramatically expanded affordances for foreign language learning and use beyond the classroom." 5. Nana Long and Jing Huang Out-of-class pronunciation learning: Are EFL learners ready in China? David Nunan is a language teacher, teacher educator, researcher, consultant and author. He has published over 30 academic books on second language curriculum design, development and evaluation, teacher education, and research. Jack C. Richards is an applied linguist, teacher educator, and textbook author, a specialist in the teaching of English as a second language (TESOL) who has had an active career in the Asia Pacific region (Singapore, Hong Kong, Indonesia, Hawaii) for many years. He is an honorary professor at the University of Sydney.